About Turfmaster Lawn Services, Inc.
Turfmaster Lawn Services, Inc. is a locally owned and operated company. Owner, Mark Hughes, has been in the lawn and pest control business for over 37 years in Sarasota. Our mission is to help you enjoy spending time in your yard and garden by helping you to maintain a beautiful exterior landscape. Safety for your family and pets is priority one, while professionalism is what we offer you in service. Uniformed technicians and clean, mobile-dispatched trucks are what you can expect to see at your home. We live here, we work here. We honor our commitments to our customers. One phone call to our company will ensure a prompt response for both your lawn and shrubs. We have stayed in business this long because we treat our customers right. What people say about Turfmaster Lawn Services, Inc.
Our lawn looks the best, with this service. We have had Adam service our lawn for many years now and he is always helpful with any concerns. Always thorough and professional. Lawn looks better than ever. It is our pleasure to provide you with professional service! We so glad your lawn is looking great! We are so glad that you are satisfied with us! Thank you for the five star review. Grass is greener than it has been in years and it has only been three months since the treatments started. Finally, a nice lawn. We love to hear that and thank you for sharing with us! We are so glad that Matt is making your lawn look greener. Thank you for signing up with Turfmaster! Thank you for the 5 star review, we appreciate that! We are so glad you chose Turfmaster for your lawn care! We really like technician David. He's very thorough and knowledgeable and does a good job at explaining things too. Thank you! We are so glad you are happy with David! Thank you for posting a review for him. He will appreciate that very much! They keep my Grass looking green all year long! Thank you so much for posting a review for us! We are so glad to hear that Drew keeps your grass looking green! I had Turfmaster for years at my other house. We moved and got the company next door. The yard did not look good. I called turfmaster and Tony came right out. The guys are great and the lawn and plants look beautiful. They really take there time in making things perfect. Just Love how Tony took charge and made everything happen. Carol G.
We are so glad you signed up with us again and that Tony took care of everything for you! Thank for sharing your thoughts with us! We love hearing that! Thank you so much for posting a 5 star review. We are so glad to have you as a customer since 2016! Great service, very thorough and covered all the needed areas. Highly recommend. Thank you so much for the 5 star review! We are so glad your technician is providing great service! Thank you so much for putting our name out there! If Mr. McQuillen signs up with us you will receive a $25 credit! New customer, but am very pleased so far. Treatments are documented and emailed to the customer so that you can keep track of what was done. I had only 1 application and my lawn is already starting to look better. Thank you for signing up with us! It is great to hear that your lawn is already improving. We appreciate you sharing that with us and look forward to hearing from you again as the service progresses! The service is great. They keep me informed of the condition of my yard and take action to treat any areas that needs special attention. We are so glad to hear that your technician is staying in touch with you and paying attention to detail. Thank you for taking the time to share your comments! I saw an immediate improvement in my lawn. The technicians have been very kind and helpful. I am so glad I called, I am very pleased. We are also glad you called us! It is so nice to hear your lawn is improving & that you technician is working hard for you. Thank you for choosing Turfmaster! Although we’ve only had one treatment, I do have complete confidence in your service. Your technician knew immediately what was wrong with my foiliage. We look forward to hearing from you again as the service progresses. We are glad you are satisfied with your technician. Thank you for choosing Turfmaster! Our grass looks awesome since we started using you! We are so pleased to hear that your lawn is looking awesome! Thank you for sharing that with us. The yard is starting to come back. And, looking good. That is great to hear and we thank you for sharing that with us! We appreciate your business. We are very happy to hear that your service is going well! Thank you for your business! Technician very helpful. Explain the process and what is the plan for getting my lawn healthy. Thank you so much for signing up with us! We are very glad to hear your technician has a plan in place to keep your lawn healthy. Thank you for being a customer of ours since 2006! We appreciate the 5 stars. doing good job 5 stars. We appreciate the five stars, thank you very much! In less than three weeks from our first date of service, our lawn is green green and lush! We love it when our customer see results so quickly! David will continue working hard to be sure it stays green and lush. Thank you for choosing Turfmaster for your lawn care needs. Great service! Love the app. Very helpful to keep updated on what has been fertilized and what is needed in the future. 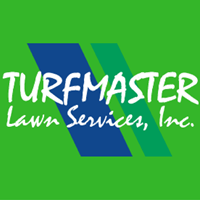 Thank you so much for signing up with Turfmaster! Jeremy will do a great job caring for your lawn. We appreciate your business! Our technician is consistently pleasant and willing to answer any question we may have. We are so glad to hear that you are happy with your technician. He will continue to work hard and keep your yard looking wonderful! Thank you for the 5 star review! Always on time, no problems with service. We are so glad to hear you are pleased with our service. Thank you for being a customer since 2007! We are so happy to hear that! Thank you for sharing your comments. Thank you so much for being customers of ours since 2013! We appreciate the 5 star review! Please treat my Sagos too. Thank you so much for the 5 star review! We are more than happy to provide an estimate for your Sagos. Our sales representative, Jeff will be in touch. Have used Turfmaster for twenty years need I say more. We are so thankful you stayed with us so long and hope you will continue for 20 more years! I am sure David will make your new home look wonderful! That is wonderful to hear! Thank you so much for sharing your comments. Best our lawn has looked in years! That is amazing! Thank you so much for sharing that with us! We will continue the great service so you can hold onto that "best looking lawn" status! Can’t figure out why my lawn is not as green as my neighbors. We all have Turthmaster ? We definitely don't want that! Our service manager will be made aware of this right away! He will be in touch with you to figure out a solution. Thank you for your feedback, good or bad we appreciate it! Matt does a GREAT JOB. We are so glad to hear that! Thank you for you business! They pay attention to details. We are very glad to hear that! Attention to detail is so important. Thank you for the 5 stars! Reliable and professional service! My yard and landscaping are well taken care of by turf masters! Thank you very much! It is our pleasure to care for your lawn and plants. We appreciate your business since 2015! Friendly and efficient. Would recommend our service tech to anybody. Thank you so much Peter! We appreciate your kind words about your technician. It is a pleasure to service your lawn. Great personal service, and easy process to become a new customer. We are so glad to hear that you are happy with us! Jeremy will take great care of your lawn and plants. Thank you for choosing Turfmaster!